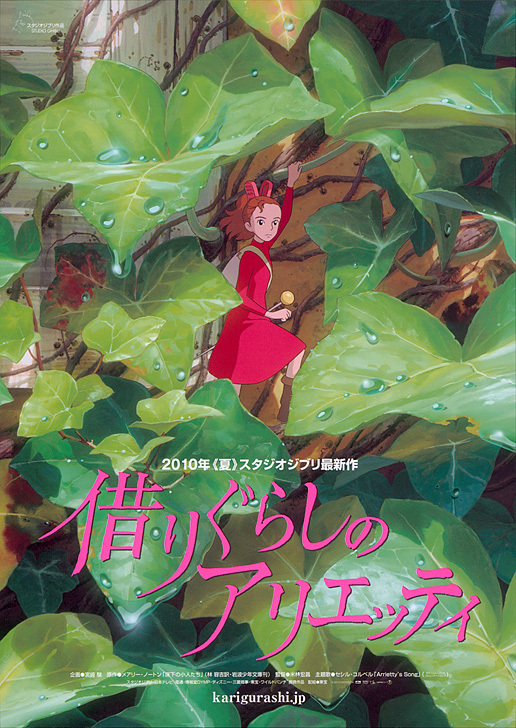 Arrietty is Studio Ghibli’s adaptation of Mary Norton’s 1952 book, The Borrowers. Written and adapted for the screen by Hayao Miyazaki, the film is the directorial debut of long-time Studio Ghibli animator, Hiromasa Yonebayashi and it shows the sure confidence, wit and humanity at the core of every Ghibli film. The film begins when Sho (Tom Holland) moves into his grandmother’s house in the Tokyo suburbs where a 14-year-old Borrower named Arrietty and her family live under the floorboards in a closet. Arrietty (Saoirse Ronan) is about to turn 14 herself and is eager to prove her worth by helping her father Pod (Mark Strong) “borrow” much-needed items from their human landlords but Sho discovers their existence. A relationship develops between Sho and Arrietty even though it puts the existence of the Borrowers’ in danger which means they must work together to protect the existence of Arrietty’s family from an over-zealous housekeeper named Haru. The first thing to note is that this film is gorgeous. This will come as no surprise to anybody familiar with the works of Studio Ghibli but the animation is detailed and luscious. Whether it is depicting streaming sunlight highlighting a wild garden with Sho lying amidst flowers or a rain storm that brings out different shades of grey, the range of colours is expressive and Cecile Corbel’s gorgeous music lifts everything up in terms of beauty. The world of the borrowers is well realised. Details like Arrietty’s cheong-sam and peg hair clip, the stamps used by the borrowers as paintings, the plants and creatures they coexist with from cats, birds, rats, ladybirds, woodlice, ants, the world is full of items and creatures that are all charming in that Ghibli way. The animation captures the contrast between the Borrowers and the humans in size and world view when Arrietty and her father go on expeditions in the human’s house. They run along wainscoting, access spaces behind walls through sockets and use protruding nails and staples as steps. This culminates in one brilliant sequence where Arrietty gets to see the human’s kitchen for the first time and the camera pulls back to show vertiginous height she’s at and the size difference. Audio in this scene is also used effectively as sound is accentuated so the tick-tock of grandfather clock and the memory of cooking noises echo, all rattling lids, sluicing water threaten to overwhelm but the highlight is the sequence where a human heart beat is like a huge drum beat in a brilliant scene both threatening and emblematic of this adaptation’s content. This is a coming of age drama/love story familiar from other Ghibli film’s where to grow up they must face up to a challenge and mature into a new emotional state. It is handled with great ease and although it doesn’t feature the depth of character or inventiveness in of titles like Whisper of the Heart and Spirited Away, it is still a strong title that stands on its own and has enough heart, humour and artistry to please all sorts of audiences. 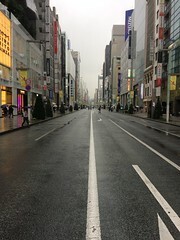 The real treat is luxuriating in the visuals and audio and enjoying a well-told story. Everybody in the audience I was part of, from the two 60 year olds to the group of German students discussing Kevin Smith films, hung back to watch the end credits. 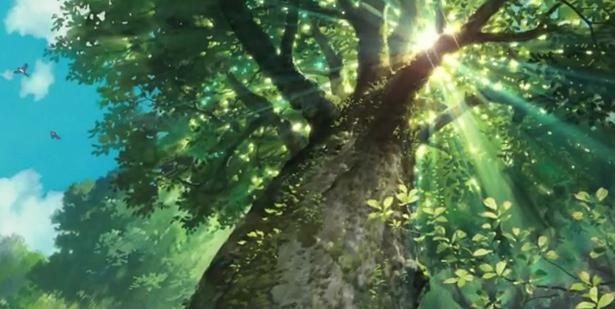 I agree about Arrietty being good although my favourite Ghibli film remains Spirited Away, one of the best films ever.